Today’s world is not a one-shape-fits-all. Different generational trends impact society in various ways. Each generation carries certain traits and tendencies. It is important to understand and be aware of these differences as a business owner. Depending on the year you were born, you fall into a specific generation: Baby Boomers, Xennials, Millennials, and so on. As a landlord, you need to appeal to all these generations, particularly Millennials. Why? Due to their age, Millennials are saturating the rental industry. Right now, they account for people ranging in age from their low 20s to their mid-30s. As you learn about the characteristics of Millennials, you can know how to make your rental home attractive to this group of individuals. Have an Online Presence – This age group is technology-based in every way. They have good salaries that allow them to splurge on the latest amenities and gadgets. Their phones and tablets follow them wherever they go. To be competitive, your information must be accessible at the swipe of a finger. Advertise your home listing across the Internet. Utilize multiple sites to market your unit. Provide online tours of your rental. Make your tenant application user-friendly to mobile devices. To state it simply, put everything online while marketing your property. But do not stop there. Millennials need that virtual accessibility throughout their rental experience. It is crucial your Sacramento property management services include online options to pay rent and submit maintenance requests. Offer Amenities – While all the bells and whistles may not have been important to past generations, they are to Millennials. They want them and are willing to pay for them. When looking for a rental, Millennials consider it all – appliances, countertops, kitchen features, floor layout, home energy plans, style of home, yard size, and more. Don’t let this endless list intimidate you though. If you are looking to remodel your current investment property, prioritize where you put your money by improving the amenities that will increase the value of your home the most. Think About Safety – Security is important to Millennials. When advertising your home, promote all the safety features. Point out what measures are in place to protect tenants. Does your home have double locks on the doors? Is there an alarm system? Are the windows newly installed for better security? Is your home located in a gated community? Millennials want to feel protected. They look to work with property management in Sacramento that they feel has their best interest in mind. Show Millennials you care about their well-being. If you want to purchase a rental property, there are some factors you can consider to appeal to Millennials. Location should be your top consideration. Millennials do not want to commute, but rather prefer to live near their employment. They want to have local activities and shopping within close reach too. The location of your rental will make a huge difference in the overall value of your home. Buy in a neighborhood that is well known as safe, quiet, and with lower vacancy rates. Your next main consideration should be property features. Avoid quirky layouts. Since Millennials like to entertain guests, a home with a large community space is a must. A nice, up-to-date kitchen is important too. Where to Find Reliable Property Management in Sacramento? Do you need help making your rental home attractive to prospective tenants? Or are you ready to purchase your first rental investment? The property management Sacramento, CA, team at Real Property Management SAC-METRO is ready to help you be a successful landlord. We understand the rental industry and work hard to increase your profits. With more than 30 years of experience, we use a hassle-free leasing cycle proven to work. Renting to Millennials shouldn’t scare you. With the proper approach, you can win over this generation. 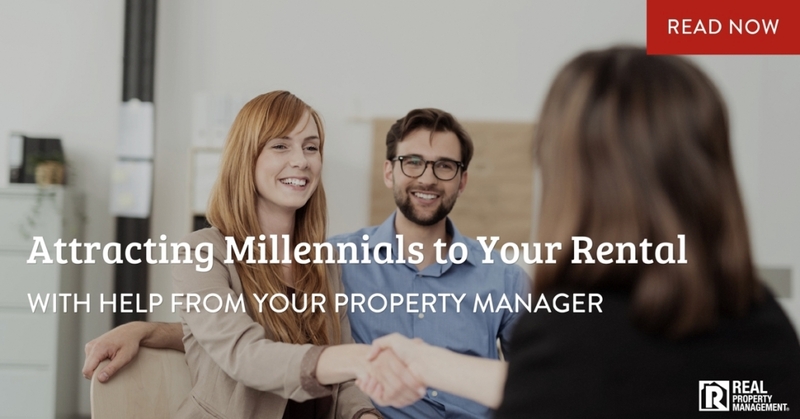 Millennials are searching for that ideal rental home, and when you partner with professional property management in Sacramento, you will find yourself ready for them. Put our experienced team to work for you. Learn more about our comprehensive list of services at Real Property Management SAC-METRO. Call us today.